Bo began his plumbing career over 45 years ago during Liberty High School’s vo-tech training course. 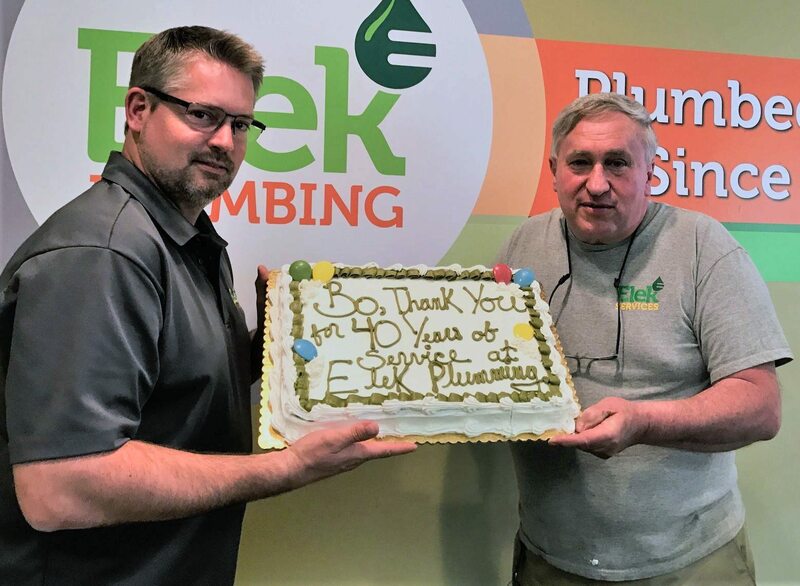 After graduating, he did a short stint on the Lehigh University maintenance staff before joining Elek Plumbing’s then-small staff of six. Hired by Stephen Elek, the company’s third-generation owner, Bo spent most of his days helping with bathroom remodels and plumbing rough-ins. Several years ago, at the request of current owner Don Harris, Bo transitioned from the field to serve as Elek’s warehouse manager. From managing orders to running parts, Bo continued to put customer service first during his time in the supply shop. “December 29 was my last day, and I’m just getting used to not getting up at 4:30 am to be at the warehouse by 6:00,” he laughs.